A recent report on the taxes entertainment companies of celebrities paid in 2018 has sparked speculations on how much Chinese celebrities actually earn and a comparison with their foreign peers. Dongyang, East China's Zhejiang Province, is home the country's largest film and television lot, Hengdian World Studios, and many celebrities' studios. 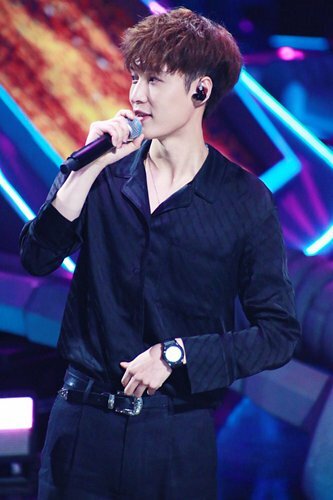 The Dongyang government on Wednesday released its taxpayers' ranking for 2018 on its WeChat account, which showed singer and actor Zhang Yixing topping the list with 19.1 million yuan ($2.8 million). Zhang's studio ranked 88th among all taxpayers in the city, followed by actresses Yang Mi and Jing Tian, who paid 15.5 million yuan and 10.4 million yuan, respectively. The taxes they paid in one year are more than many ordinary people make in their lifetime, many Weibo users said, after screenshots of the report went viral. It is difficult to calculate the average income of Chinese entertainers, but the top ones are believed to be billionaires. Actress Fan Bingbing earned the most in 2016 - about 300 million yuan ($44 million). Lu Han, a former member of South Korean idol group EXO, ranked second at $31 million, followed by actress Yang Mi's $29.5 million, according to a Forbes report in September 2017. Although K-pop, South Korean and Japanese dramas have swept East Asia, their celebrities do not earn as much as their Chinese peers. In South Korea, the top 1 percent of singers earned 4.2 billion won ($3.7 million), with the top 10 percent earning about $650,000 annually in 2016. Actors earned less, with the top 1 percent having an average income of $1.8 million, according to Yonhap News Agency. The most famous Japanese actors and actresses seldom earn over 3 million yen ($27,000) for each episode they star in. Even combined with endorsement income, they earn much less than their Chinese peers, ifeng.com reported on February 6. Lu Di, a professor at the School of Journalism and Communication in Peking University, said Chinese celebrities earn an amount comparable with Hollywood stars, and belong to the "super-rich class," considering the average income of Chinese people. Per capita disposable income of Zhejiang, one of China richest provinces, was 45,800 yuan in 2018, according to official statistics. Income gap between entertainers and people in other industries drives the money and fame worship, Lu told the Global Times on Thursday. Lu hailed star studios entering taxpayer rankings as progress after the country strengthened tax regulations over the film and television industry.